I have not been an intern for three years (thank you Richard Hugo House for the amazing development internship that helped me get to where I am today). Now that I am one again (three weeks at Tin House Books), I have to re-adapt to the life of the lowly subordinate. Honestly, I couldn’t pick a better place to be said subordinate. Tin House is half the reason I moved to Portland (graduate school being the other half). 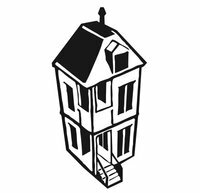 A publisher, literary magazine, and organizer of one of the country’s finest writing workshops (more on that later), Tin House is everything I expected of a West coast literary outfit—individual, cool, and laid back. From day one, when ten minutes after I walked in the door and found myself with a manuscript in my hand and sat down at a table of strangers to start reading, I realized the staff at Tin House held a lot of confidence in their interns, and this made me want to work even harder to show them I deserved it. My job as an editorial intern is to read manuscripts and write my reviews/suggestions to the acquisitions editors regarding the merit of the submissions. This is a job I feel comfortable with doing. It is one I have done all year in my graduate program’s own student-run publishing house, Ooligan Press, and something I managed for two quarters as the Acquisitions department manager (check back in a week for my post on the department’s latest developments). To learn more about Tin House, visit http://www.tinhouse.com. Check out their catalogue. I’d recommend Glaciers by Alexis Smith. What’s even more exciting is that is that I am surrounded by other interns doing the same thing, and we are all expected to sit around and talk about it. I would want to do this anyway, and to have other people nearby who are as book nerdy as me is such a gift. I spend two-thirds of my workweek in the Portland State University Library and most of the time I sit alone in my office designing bookmarks or writing donor appeal letters. This is a solitary job (as you would expect of most jobs in a library). But, two days a week I sit in a room full of interns (the occasional editor stops by for a chat on the way to his or her office) and talk about books and writing. We spent the other week discussing the merits of Judy Blume. Does it get much nerdier than that? Unfortunately, this week most of the staff and interns are busy with the Tin House Summer Workshop—a week of classes, lectures, and readings drawing from national talents like Steve Almond, Aimee Bender, and Elissa Schappell. I had already planned to attend at least one reading (Elissa Schappell, my current editor/writer idol). But, when I stepped into the sadly under-populated office today, I realized everyone else was busy with his or her own workshop plans. After a chat with one of the editors, I made a few more plans for the workshop and was told to take a manuscript with me to read in the sun. As I sat alone in the office, surrounded by the stacks of Tin House books that called to me to come and peruse, to run my fingers across colorful spines, I realized it wasn’t just the people that make this internship so great. It’s the environment. It’s being able to sit in an office buzzing with the sounds of book creation, of copy editing, fretting over picture placement in InDesign, of piles and piles of paper. So the sun called to me, asked me to squint at a manuscript in its light, get my much needed Vitamin D, and even though I answered and will spend the rest of the week at the workshop and away from the little office on Thurman Street, I know it will be there next week waiting for me. There will always be more manuscripts to read, more books to discuss. I look forward to that familiarity. Books are still my favorite company. Thank you for this. I am currently reading every back issue of Tin House in order to get myself into a good place to apply for an internship. Reading this post served as an additional motivator! Thanks for reading the post, Brandi. My internship at Tin House was easily one of my best literary experiences. As far as reading Tin House’s backlist, I also recommend the Writer’s Notebook I and the Writer’s Notebook II. There are a lot of amazing essays in their that help with the craft of writing. Good luck applying to internships! Are Tin House’s internships paid? They are not, but they’re great nonetheless.